GEM Systems, Scintrex and Geometrics magnetometer backpack. $2,950 Modern Mag • Accurate, safe and reliable ground magnetic surveys. GEM systems sales. Modern Mag has developed a carbon fibre and aluminium backpack for use with GEM systems, Scintrex or a Geometrics magnetometer. 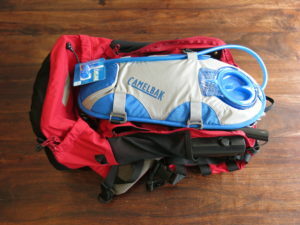 This pack is lighter and much more comfortable than the backpacks shipped from the manufacturers. For example, students call the Geometrics magnetometer G858/859 the “rack of pain”! A prominent Australian hiking brand has designed the Modern Mag pack. 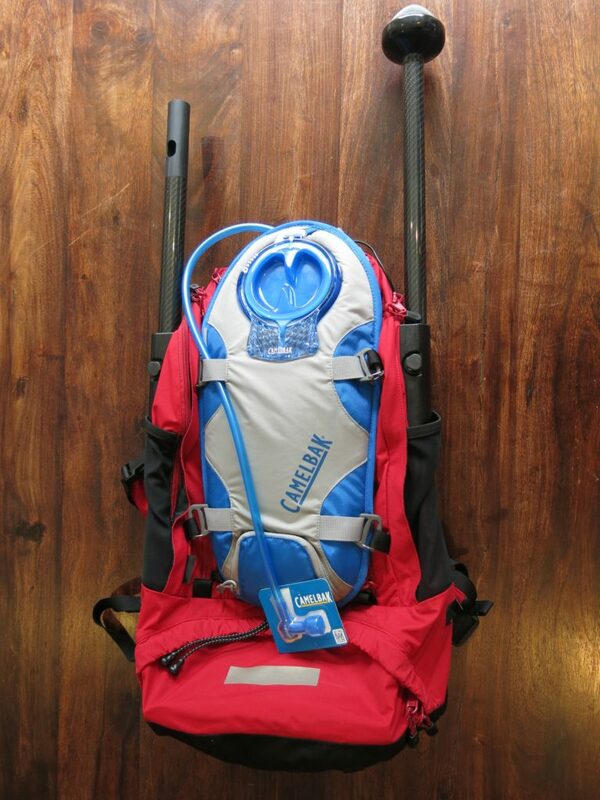 It features an in-built hydration pouch, internal aluminium frame and lightweight carbon fibre poles. It is made of strong tear resistant fabric. Modern Mag has been using these packs in the field for 4 years now. The design has been perfected and now includes modern plastics. These lightweight plastic are impregnated with glass fiber for additional strength. We have walked thousands of line-kilometers with these packs. Our crew would never go back to conventional magnetometer packs. The reduced length of the poles is by far the best feature. A custom non-magnetic GPS antenna allows the magnetometer sensor to be down lower – at or below head height. This reduces the likelihood of the poles snagging on trees or thick vegetation. Where possible, cables have been routed internally. This further reduce the likelihood of cables hooking on trees and shrubs. 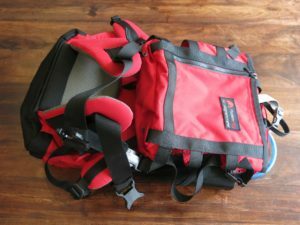 A story about why this pack was developed and how it can help you can be found here. A pouch covers the console (computer) protecting the paint and electronics from scratches and other damage. This can increases the resale value. We estimate that line-km production rates increase 20% with this backpack. It is lighter and more comfortable making the operator more agile. This reduces accidents and incidents. Line cutting costs in thick forest and jungle can be reduced since the line cutting crew does not have to cut as high. Magnetometers from any manufacturer can be used with this pack. However GEM Systems magnetometers are the best available and can be easily integrated with the Modern Mag pack. Upgrades will be available in the future to interface to a low-magnetic-interference PDA. This PDA screen is sunlight readable and includes many safety features that major and mid-tier mining companies demand. It also includes radio modem communications over many miles as well as GPS navigation. GPS navigation is important since magnetometers such as the Geometrics 858/859 rack of pain can only record the GPS position. They do not help the user navigate efficient straight survey lines. A Geometrics magnetometer can tell you where it has been, but cannot tell you where to go. Whereas the Modern Mag PDA includes survey line navigation. The introductory price for a single pack is AUD$2,950. Two packs are $5,500. Poles slide out and fold back for transport. Pouch protects console and includes map pocket.